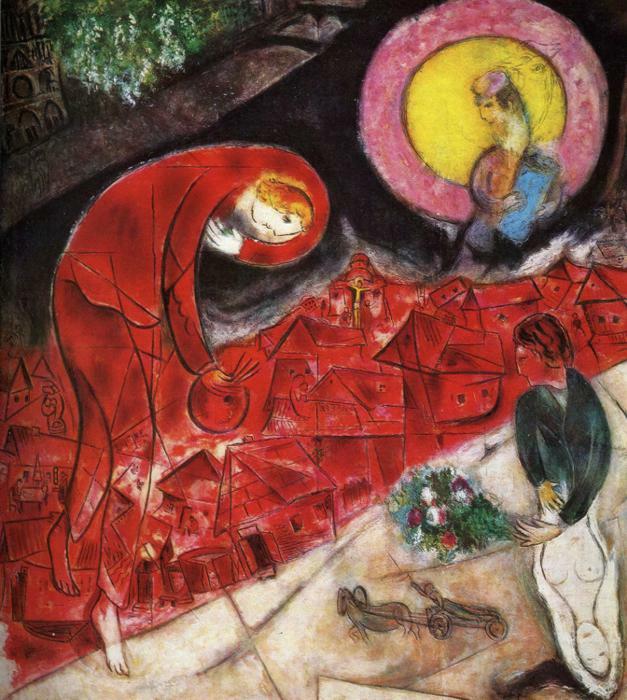 [An ekphrastic poem based on the painting The Red Roofs, Marc Chagall, 1954] Click for larger view. like I'm sucking on coins. on us all - even the Jew we call the Christ. before the whole of the town. with the rippling waters of the Yangtze. I am a Tiananmen mother. in a cold dark world. driven by fear, ordered by paranoia. a stain still upon us today. I have wept for my son since. Today, I weep for another. this time for the death of the old man. There are guards outside my door. I cannot begin to swallow. That is how I know the truth. Guilt always gnawing at my heart. I could not help my son that June night. Again as I am helpless.